It’s an offer you can’t refuse when Mohegan Sun’s Winning Authors presents singer, author & mobster-turned-actor, Gianni Russo on April 13th as he participates in a live Q&A at Comix Comedy Club and signs copies of his memoir, Hollywood Godfather in The Shops concourse as part of a Bank Square Books partnership event. 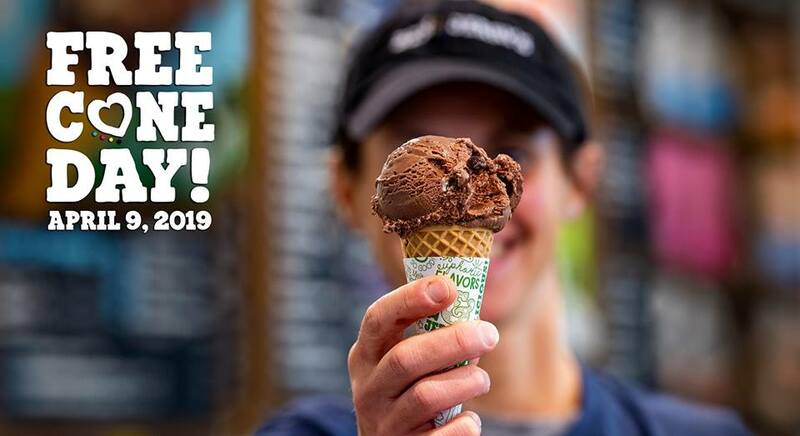 Since 1979, it’s our way to celebrate and say thanks to our awesome fans for another year of support, and we’ve kept it up every year since, spreading the peace, love & FREE ice cream around the world! Guests and Syrian refugees will gather together in an intimate setting to break bread – come share stories, develop cultural understanding, form connections and build community. 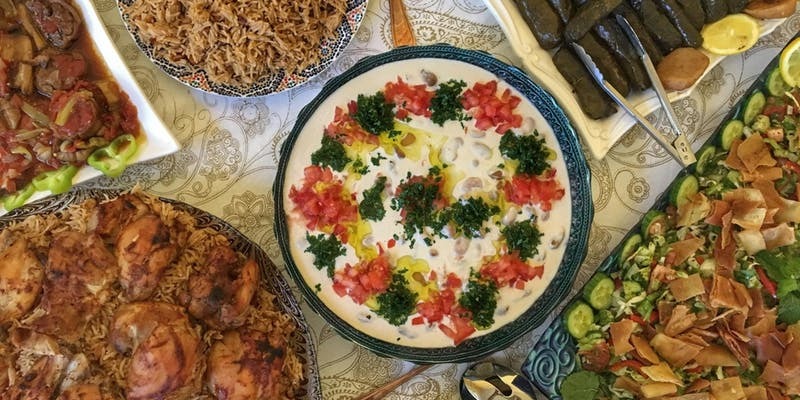 Enjoy a delicious meal prepared by Syrian chef Afeefa and her husband Sami, who resettled in New Haven in 2016 from Daraa, Syria with their family as a result of the ongoing conflict. Afeefa has over 40 years of experience cooking, and was one of the first refugee chefs to join Sanctuary Kitchen at its inception in 2017. Come learn about Afeefa and Sami’s culinary background and inspirations, and gain insight into their experience as refugees in New Haven. Trained facilitators will be present to assist the dinner party. The ticket cost is $60 per person. All proceeds are used to compensate the cook and support the cost of materials. Sanctuary Kitchen, a program of CitySeed in partnership with a network of community volunteers, was formed in 2017 to promote and celebrate the culinary traditions, cultures, and stories of refugees and new immigrants resettled in Connecticut. We believe that refugees and immigrants arrive here with the potential to contribute their own unique skills and passions to the diverse and changing face of the Greater New Haven Area. Sanctuary Kitchen seeks to highlight these skills in culinary pursuits that provide personal income potential, while promoting their culinary traditions, cultures, and stories to improve understanding and appreciation throughout our community. By attending a Sanctuary Kitchen event, you’re helping refugees and immigrants receive training, support, income and opportunities to share their skills in meaningful ways. CitySeed is a nonprofit organization that seeks to provide access to fresh, local food for all New Haven residents. CitySeed operates a series of food-related services and activities toward that end. CitySeed’s mission is to engage the community in growing an equitable, local food system that promotes economic development, community development and sustainable agriculture. CitySeed has a licensed, commercial kitchen space, which was built with the aim to joyfully build culture and community through education and entrepreneurship. Sanctuary Kitchen is an important piece of this work. See www.cityseed.org for more details. Soledad O’Brien is an award winning journalist, documentarian, news anchor, producer and philanthropist and the new host of Sunday morning syndicated political show, Matter of Fact. O’Brien was the originator of Black in America and Latino in America. In June 2013 she launched Starfish Media Group, a multi-platform media production and distribution company, dedicated to uncovering and producing empowering stories that take a challenging look at the often divisive issues of race, class, wealth, poverty and opportunity, through personal stories. Starfish Media Group continues to produce Black in America and Latino in America and other programming for CNN and has produced the re-launch of “Matter of Fact with Soledad O’Brien” which focuses on alternative views on top issues. Also, in June 2013, O’Brien joined HBO’s Real Sports with Bryant Gumbel as a correspondent. In 2010, she wrote a critically-acclaimed memoir The Next Big Story: My Journey through the Land of Possibilities, which chronicles her biggest reporting moments and how her upbringing and background have influenced these experiences. O’Brien came to CNN from NBC News where she anchored the network’s Weekend Today. Together, Soledad and her husband, Brad Raymond, started PowHERful Foundation, a non-profit organization that helps bridge the gap of opportunities for young minority women from low-income families to attend college with financial assistance, mentoring and holistic support so they can earn a degree and be on a path to success and hopefully in return one day they too will pay it forward to other young women like them in their communities. Soledad is a graduate of Harvard University and currently lives with her husband Brad and their four children in Manhattan. IT’S OUR TIME TO TAKE THE LEAD! Each spring, YWCA Hartford Region hosts In the Company of Women – the largest networking luncheon in the State. The event brings together a diverse audience of nearly 1,400 successful women from the greater Hartford area to be inspired and to inspire others. The luncheon is YWCA’s most important annual fundraising event, with proceeds helping to fund YWCA’s many programs and services that benefit the lives of women and children in the Hartford region. Attendees meet other women from the community who make a difference in their communities, while gaining insight and inspiration from a keynote speaker who has achieved great success, serves as a role model for women, and – most importantly – is helping to fulfill the association’s mission of empowering women, eliminating racism, and standing up for social justice. We are excited to announce our 2019 keynote speaker is Award Winning Journalist, Documentarian, Entrepreneur & Philanthropist, Soledad O’Brien. Our emcee for the afternoon will be Emmy Award winning, NBC Connecticut anchor, Keisha Grant. Click here to see a list of 23 years of distinguished women who have shared their motivational stories in the past. Tickets are $150.00 + service fees and tickets are now on sale. Seats are sold through Table Captains and individually on-line at Purchase Individual or Table Captain/Guest Tickets. Seats are also available to guests of Corporate Sponsors. For more information about the In the Company of Women luncheon, including information about Sponsorship, how to become a Table Captain, Advertiser or exhibitor opportunities, please contact the Development Office at (860) 525-1163, or ywcaluncheon@ywcahartford.org. When: Monday, April 8, 2019 11:30 AM-12:00 PM (UTC-05:00) Eastern Time (US & Canada). Please join us on Monday, April 8 at 11:30am at 228 College Street, New Haven for a Ribbon Cutting Ceremony at South Bay Restaurant. Feel free to forward this invitation to others! Below is a link to more information about South Bay. Kwan will give the Spring 2019 Chubb Fellowship Lecture at 4:30 p.m. in Levinson Auditorium of the Law School, 127 Wall St. The talk is free and open to the public. Off the ice, Kwan has demonstrated the important role athletes can play in the world of public diplomacy, furthering opportunities for international cultural dialogue and exchange. In 2006, Secretary of State Condoleeza Rice named Kwan America’s first Public Diplomacy Envoy and senior adviser at the U.S. Department of State, working with the Bureau of Educational and Cultural Affairs. Kwan traveled the world meeting with young people to speak about leadership and to engage them in dialogue on social and educational issues. She continued that position under President Barak Obama and was also appointed to the President’s Council on Fitness, Sports, and Nutrition. In 2010, Kwan was elected to the board of directors of Special Olympics International, the organization’s governing authority responsible for global affairs and strategies. In 2011, Kwan was named adviser to the U.S.-China Women’s Leadership Exchange and Dialogue. Since then she has been involved in a variety of public service and political campaigns. 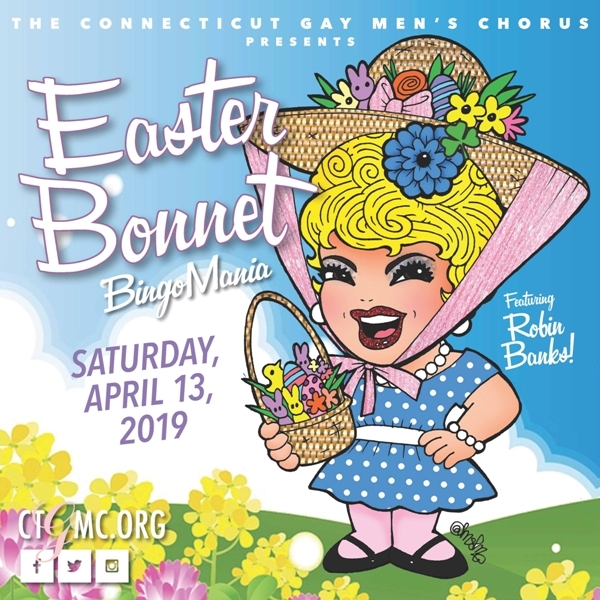 Prizes will be awarded for best Easter bonnets! Play for Cash Prizes up to $2,500!! Doors open at 6 PM and games begin at 7 PM. Cathy Guisewite, creator of the “Cathy” comic strip,which ran in nearly 1,400 newspapers for 34 years, will talk about her book, Fifty Things That Aren’t My Fault on Wednesday, April 3, 7 p.m. In her first collection of essays, Guisewite calls herself a woman in “the panini generation,” taking care of her teenage daughter in California and flying cross country to care for her aging parents in Florida. Stage, film and television animal trainer and behaviorist Bill Berloni will talk with arts writer Frank Rizzo about his long career; about choosing, caring for, and living with pets; and the upcoming musical “Because of Winn Dixie” which will play the Goodspeed Opera House in East Haddam June 28-September 1. The talk is part of the Twain House’s new A Little Harmless Fun series. Tickets are $10. Buy tickets here.